The plantar fascia is a thick, ligamentous connective tissue that runs from the heel bone to the ball of the foot. 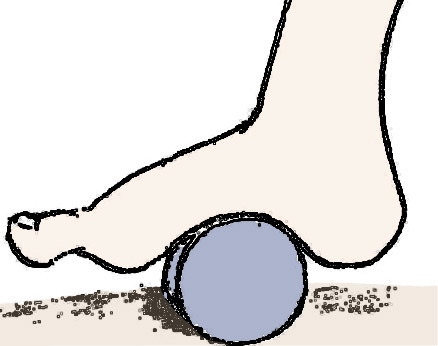 This strong and tight tissue helps maintain the arch of the foot. It is also one of the major transmitters of weight across the foot as you walk or run. Thus, tremendous stress is placed on the plantar fascia, often leading to plantar fasciitis- a stabbing or burning pain in the heel or arch of the foot. Plantar fasciitis is particularly common in runners. People who are overweight, women who are pregnant and those who wear shoes with inadequate support are also at a higher risk. Prolonged plantar fasciitis frequently leads to heel spurs, a hook of bone that can form on the heel bone. The heel spur itself is not thought to be the primary cause of pain, rather inflammation and irritation of the plantar fascia is thought to be the primary problem.